The Home Secretary, Theresa May, made great virtue of her plans to scrap policing targets yesterday. No longer would the police have to answer 999 calls quickly, or bother themselves with such trivia as patrolling on the beat or their public reputation. Instead, they should just focus on bringing down the crime rate. Her colleague, Andrew Lansley had a similar outlook a few weeks ago as he consigned an already long limit on A&E waits of no more than four hours to history, and abandoned one of the most successful public sector reforms of Labour's years, the 18 week waiting time target. Instead consultants and trusts could pretty much decide for themselves whether to be bothered about patients suffering on trolleys or facing extra months in agony awaiting treatment. Both moves will lead to a serious decline not only in the quality of the police or health services, but particularly in the rights of victims of crime and patients. A shared insight of the Thatcher/Major and Blair/Brown years was in the importance of customers of public services and their rights, and a recognition that producer or professional interests did not always know best. The most important change Labour introduced was in delivering minimum standards (in schools, expectations of minimum GCSE or test results delivered huge improvements in the most disadvantaged areas). Now the Coalition in a zealous attack on an admittedly excessively target-driven culture has thrown the baby out with the bathwater. In one sense, this could be said to be understandable, at least in the police. By removing public expectations, the police can be 'freed' to concentrate on other matters. Yet in saying this, May seems profoundly to misunderstand the nature of the relationship between police and public. Most crime has fallen significantly in recent years (though some violent crimes are up) so the expectation that the police treat victims and the public better has not been at the expense of this core task. But it is also the case that the police are more than crime-fighters: their presence and that of community support officers makes people feel safer, particularly at night; their willingness to respond reassuringly to victims is as important in some crimes, like burglary, as the knowledge that the criminals will be caught. This has particularly been true in community policing. What these targets said is that the police recognise that they are funded by taxpayers, and are not a law unto themselves. Gene Hunt was being consigned to the past. Andrew Lansley seems equally in thrall to professional interests. Despite polling clearly showing that waiting times are very important to patients, he is abandoning the maximum waits and allowing consultants to adopt a 'doctor knows best' attitude that was beginning to be challenged by the success of the targets. The point is not that most medical professionals don't believe they put patients interests first; it is that the default position of too many in the medical profession is to ignore what patients say they want. Without minimum standards, patients' concerns can too often be ignored. And the frustration and anger that follows will not be good for their health - or the NHS. So, why is Labour not making more of such profoundly regressive steps? One reason is the preference of too many leadership contenders for attacking a record they should celebrate more - or at least offer a balanced assessment. Having failed to defend our record over the last few years, it is also harder to revive it now. But the bigger reason is the failure of the party to level with voters about where it would cut and what it would protect before the election (of course the other parties blatantly lied to voters but they are now in government and getting away with their dodgy reinvention of history). Had Labour followed Alistair Darling's advice, it would be in a stronger position to challenge those policies that will harm patients, parents or victims. But even those weaknesses should not prevent the party from trying harder: unless it does so now, history will have been rewritten by the coalition. And when the 8 hour trolley waits return, and the delayed 999 responses soar, the reasons will be lost in the mists of time. Hopi Sen has a valuable follow-up to this post here. 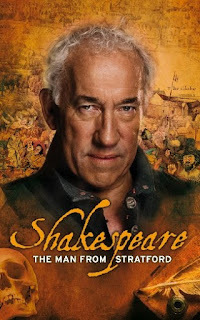 To see Simon Callow's one-man show Shakespeare: The Man from Stratford at the Bath Theatre Royal last night. In one of the last Main House shows before this summer's revamp of the historic theatre, Callow delivered another tour de force as he raced through the Bard's career interspersed with great speeches from his plays. Loosely -and inevitably - dividing his 90 minute monologue into the Seven Ages of Man, Callow took us from a Middle England childhood where young Will received a grounding in Latin grammar at Stratford grammar school, before working in his father's glove shop and marrying Anne Hathaway, through plague-ridden London to Shakespeare's time at the Globe and his retirement as a man of property to his home town. It is a thrilling story of small town politics, big city revenge, royal fickleness and apparently transient fame. Callow excels at this sort of show - as his earlier brilliant renditions of Wilde (the Micheal MacLiammóir version) and Dickens showed, and he thrilled his audience again last night as he moved effortlessly from historic narrative to dramatic impersonation. The play is touring through to Edinburgh, where it is sure to be a great hit. When a local post office closed a couple of years ago, the villagers wailed and moaned, because the accompanying shop would have to shut, too. The post office was indeed just an expensive public subsidy for a crap village shop, so when it did shut, the dismal shop swiftly followed, despite the villagers' attempts to form committees and fundraise to keep it open. Then a family from Sri Lanka arrived. They bought the lease, reopened the shop. The (generally white and wealthy) villagers patronised them, and the Sri Lankans smiled back. The shop is thriving. It sells fresh, locally sourced meat and fish, and good bread; it offers dry-cleaning, seedlings, fruit and veg. And the family is about to open a little café outside. It's only one shop in one village, but it is a lesson in what immigrant enterprise can do. The white people just gave up on it when their subsidy was withdrawn. This is the other side of the currently fashionable, anti-immigration bleat from some Labour leadership candidates, and from the Conservatives. There were several important elements of Labour's approach in government: the first was to increase overall participation in sports and PE; the second was to protect school playing fields unless they were being replaced by other sports facilities; the third was to revive competitive team sports. The Youth Sports Trust was transformed into the successful organisation it is today. Using an increasing specialist sports school network, local sports co-ordinators were employed to help revive sports which declined under the last Conservative government largely because teachers declined to help with after-school coaching. All playing field sales have had to be approved by a body that includes the strongest campaigners against their sale - but critics ignore that growth in sports facilities that often resulted. The number of specialist sports colleges was increased from 11 in 1997 to around 500 today, creating as many local networks which are key to the growth in sport. The proportion of young people doing at least two hours a week of sport a week has risen from 23 to 90 per cent. And great strides were made under both Tony Blair and Gordon Brown in increasing the numbers of pupils involved in competitions. Even between 2007 and 2009, competitive games were on the rise: in 2007, 98% of schools had sports day, 58% other intra school competitions and 35% were involved in inter-school competitions. By 2009, these last two figures had risen to 69% and 41%. I do hope that the Secretary of State builds on those successful structures and doesn't fall for the Daily Mail myth machine. The extraordinarily brutal way in which the Australian Labor Party has despatched its leader, former PM Kevin Rudd, as his net popularity dipped from record positives to below zero, may have brought wry smiles closer to home. 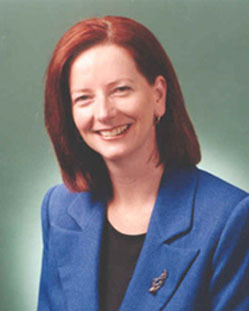 But his successor, Julia Gillard has a formidable record as Deputy Premier in seeing off the teaching unions as she introduced national testing and published results, courage which should stand her in good stead as PM. The contrast between her readiness to press ahead with important policy in the face of vested interests and Rudd's pusillanimity on carbon trading has been stark, with the latter a turn-off for voters. With Gillard in charge, the ALP now has a fighting chance of keeping power in this year's elections against a very right-wing Liberal challenge. Let's hope she does it. This blog backed Hillary Clinton during the last US Presidential election campaign, even though Barack Obama was the clear favourite among many liberals here and in the US. There is no doubt that Obama's election was a remarkable historic occasion. He has also - after some flapping - delivered on some key policy objectives like health care. He has also made imaginative appointments to some top jobs, including the Supreme Court (and the Secretary of State). But what is remarkable is that he has also managed - not entirely due to the combined wackos of Fox News and the Tea Party movement - to lose so much of the goodwill that greeted his election. Obama lacks the emotion expected of US commanders in chief - which may endear him to many in Europe, but doesn't work in domestic crises - and has a surprising unsureness of touch whether it is in handling the BP crisis where he has gained no credit for forcing them to establish a £20bn fund to help victims of the oil leak or on selling his health or banking reforms to a wider electorate. He has been better on policy delivery than might have been anticipated - but far worse at presentation and selling his policies. And that matters in politics. Despite being a largely disorganised affair with Sarah Palin their only recognisable figurehead, the Republicans are averaging a six-point lead in November's midterm elections. They are on course to make a net gain of six state governorships, could regain the House (despite a slight Democrat lead in generic polls) and reduce the Democrats' Senate majority considerably. And it has to be said that a big reason for their ability to do so is the inability of Obama to reach out to the electorate: the very criticisms that were made of him in states like Pennsylvania in the primaries now appear writ large on a national stage. At the same time, Obama's decision to appoint Hillary Clinton has proved, despite her initial misgivings about accepting the post, to be a boon to her reputation. Her personal popularity is much higher than his, in excess of 60% and sometimes as high as 70% approval ratings. She has been loyal to a fault, and largely successful on the international stage. She is highly respected in the military: even today, with General McChrystal ranting to Rolling Stone about her White House colleagues, he gives Hillary a pass. Now there is serious talk of replacing the hapless Joe Biden as VP with Hillary, either after the midterms or for as an Obama running mate in 2012, allowing her to run for the top job in 2016. While such talk may be fanciful and speculative for now, the evidence is growing that it isn't just Bill who knows how to be the Comeback Kid. Where is the Budget for recovery? So much of today’s Budget was pre-trailed – the VAT rise to 20%, the increase in capital gains tax, a public sector pay freeze, lower income tax bills for the lowest paid, eye-watering public sector cuts – that one might have expected to have seen an imaginative approach to economic recovery to compensate. Labour’s argument that the widespread cuts already announced could have a negative effect on jobs and the recovery needed to be answered. And George Osborne failed to provide an adequate response. A modest cut in corporation tax still leaves UK rates much higher than those in Ireland, a country that has taken even harsher measures in cutting its deficit. There was nothing in the Budget to promote innovation or higher level skills – the ‘technician skills’ that are needed to provide growth and compete with the fast-growing Asian economies. The measures for small firms sounded unappetising, and as complex as in any Gordon Brown Budget. The Tories show no recognition of the interdependence of the private and public sectors, and the effect on small services businesses of big public sector cuts. Scrapping tax relief for the video games industry seems bizarre, and could affect growth in a highly innovative British success story. However, there will be relief that capital investment is not further to be reduced, particularly in schools anxiously awaiting the results of a review into Building Schools for the Future, though the level at which it is being frozen was artificially reduced as a result of forward spending on the stimulus. And there is no indication – as benefits are cut by £11bn – of any replacement for Labour’s youth jobs programmes that were cut last week. With 25% real terms cuts in unprotected departments, there were no guarantees on education spending, even as health and aid spending were ring-fenced, which will mean a tough summer of negotiation for both the Department for Education and the Department for Business, Innovation and Skills. Osborne did indicate, however, that education and defence would not be treated as harshly as other departments. Schools will be hoping that the promised pupil premium provides some cushioning, and it will be hard to reduce frontline spending in schools, 16-19 colleges or Sure Start without causing a huge outcry, though the Treasury may argue against real-term rises with a two-year pay freeze and a future increase in staff pension contributions. Universities are likely to have to charge higher fees after the Browne review, and cuts in adult skills spending in colleges are already under way. Other big areas of spending like education maintenance allowances and children’s and youth services face possible deep cuts too. Politically, George Osborne delivered confidently and Harriet Harman gave a sharp and well-judged response. But it is the Liberal Democrats who look most exposed over the details, particularly the VAT increase after their denunciation of the Tories’ VAT ‘bombshell’ before the election. While they may argue that they achieved some of their income tax and CGT plans – and the removal of the cider levy for their West MPs – voters are unlikely to see these as mitigating the wider impact on public services and the working poor. There were clever touches – pension pledges and an uprating of child credit – but they are unlikely to protect the party from the anger of a significant proportion of their electorate who believe this is not what they thought they were voting for. Talk of an international ‘consensus’ – not shared by Barack Obama in the US – may not be enough to win them back. I wouldn't argue against George Osborne's proposition that the public sector deficit is unsustainable. And there is certainly a case for reviewing public sector pensions - John Hutton is a good man for that job - and a pay freeze for public sector workers. Benefits need reform, in the direction that Labour had been moving, shifting the able-bodied from welfare to work (provided there are jobs and business opportunities in the economy). There may even be a need for the Tories to defy their pre-election commitment that there were no plans to do so and increase the general level of VAT (though an extension of the scope of VAT would be hugely regressive and politically very stupid). However, what is most worrying about the narrative surrounding Tuesday's 'emergency' budget is the complete absence of any growth or jobs strategy, and the total lack of understanding of the interrelationship between the private and public sectors. The freezing of school building projects is crucifying the construction industry. The Nimbyist changes in housing rules will hardly help. The opposition to rail electrification or airport development suggests little understanding about the relationship between transport infrastructure and economic growth. The bizarre package of job cuts this week - including in Sheffield and in youth job programmes - shows a strange set of priorities. So I share the concerns of those economists who argue that deep cuts without any jobs or growth strategy will depress the economy, depress growth, depress tax revenues and push up unemployment. The relish with which the Tory press has been treating the forthcoming budget has not been corrected by Osborne (despite his protestations of a belief in 'fairness' this morning) and the Liberal Democrats have utterly failed to moderate the Thatcherite enthusiasm that surrounds the whole exercise - Vince Cable has disappeared without trace. Unless the coalition strikes a proper balance between necessary savings, tax increases and future jobs and growth, it will cause huge problems for the whole country in the future. In that, they are right to argue that we are all in this together. The coalition's plans for free schools are given a bit more detail today. As I reported in my recent Public Finance article, there is a greater emphasis on the potential for teacher-led than parent-led schools. Otherwise, we are told that a group of 50 or so parents could club together to demand a new primary school; a larger number will be needed for a secondary (the latter are more likely to be developed by existing academy providers and secondary schools). They will be governed in a way similar to academies, and subject to Ofsted inspections, tests and tables. And the talk now is of taking over shops rather than shiny new buildings. So far, so predictable - and there was a sensible recognition this morning that some will fail, as has happened to over 600 of the 5000+ charter schools in the US . I have no doubt that there will a number of high profile free school developments, including Toby Young's much publicised plans and those supported by some of the Teach First graduates. A more difficult group will be those parents who set up a free school simply to stymie local authority rationalisations: at a time of spending cuts, there will be some high profile battles with angry councillors. Equally, there will be plenty of difficult judgment calls when the bids from Muslim schools emerge, though it is likely that the efforts of scientologists and other cults will be stopped unless they successfully disguise their true backers. Labour should not oppose the development of free schools, provided they are non-selective. After all, they build on an architecture developed in its education bills. The main change proposed by Michael Gove is a freeing up of planning restrictions that councils had used - with no attempt by Ed Balls to stop them doing so - to block the parental rights to demand a new school set out in the 2006 Education and Inspections Act. Instead of adopting a kneejerk defence of existing planning rules or local authorities, the next leader of the Labour party should look creatively at the model to develop imaginative new groups of free schools including in disadvantaged areas, some of which might challenge the rigid curriculum orthodoxy schizophrenically embraced by the Conservative front bench. Indeed, such imaginative thinking would be far more likely to help us win back Southern voters than talk of abolishing the charitable status of independent schools. However, the programme's supporters are being a touch naive in their expectations about how rapidly this programme will develop. The £50 million diversity pot announced today will help some, but it will take a lot more effort than they think to develop a programme of Swedish-style or US charter school proportions. The main reason is that both systems lacked diversity before those developments. Indeed, Swedish free schools are still required to teach the national curriculum. By contrast, a huge diversity and significant autonomy has developed in our system under both Labour and Conservative governments. Not only will there be in excess of 300 academies from this autumn, there are thousands of religious schools (that don't get public funding in the US) and over 1200 foundation schools that have many of the freedoms enjoyed by academies already. Moreover, the degree of autonomy over staff and budgets enjoyed by community - local authority - school heads is far greater than in most other developed countries. Of course, there are challenges in moving our system towards the achievement levels of countries or territories with much higher degrees of ethnic homogeneity like Finland or Singapore, and Gove is right to be ambitious about improving standards, though he is wrong to underestimate how much progress has been made in recent years. But a far greater contribution to that further improvement is likely to emerge from plans for the expansion of mainstream academies, better teacher quality and strong accountability. Liberal Democrat Chief Secretary Danny Alexander's bonfire of programmes designed to give young people a genuine chance to gain work through internships and practical experience is a betrayal of everything his party claimed to stand for in the general election. It also gives the lie to the idea that the coalition is seriously interested in getting people off welfare and into work, and undermines the claims of welfare secretary Iain Duncan Smith in that regard. The Future Jobs Fund and the Jobs Guarantee for the long-term unemployed are both measures that should not be abandoned in the absence of better alternatives. Their abolition could consign tens of thousands more young people to a longer time - if not a lifetime - on benefits. It is the exact opposite of what the coalition claims to stand for, and to withdraw such programmes without any concrete alternatives in place suggests that the Lib-Con Government is more concerned with spin and macho cost-cutting than substance where reducing unemployment is concerned. "If we are telling people their benefits will be time-limited, cut or ended, we will carry the electorate with us only if we can definitely offer someone a job". He said the requirement to take jobs enshrined in the jobs fund scheme also stopped young people from endlessly fiddling the system, making them realise it was decision time because they would have been required to take a job. "Many jobless try desperately hard to get jobs and fail to do so," he said, adding that "the cumulative effect of that failure is enormously crushing on them". "What the jobs fund was beginning to do was offer concrete jobs for people to go to, and that was a lifeline that no amount of new deal and no amount of our rhetoric ever offered them," he said. "It was one of the most precious things that the last government was involved in." The new education secretary Michael Gove moved significantly forward in his recognition of the importance of outstanding schools that become academies working with other schools, in his first major speech as secretary of state this morning. In a well-received and policy-rich speech to heads at the National College conference in Birmingham, he made clear that he expected the new academies to work with at least one other school in a system leadership role, and that programmes like the College's National Leaders of Education would play an important part in delivering that system leadership. 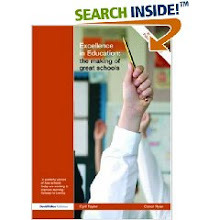 Let me be clear: I would not be going down this road if I thought it would in any way set back the process of school improvement, if would in any way undermine the progress we need to make in our weakest or most challenged schools or if it would in any way fracture the culture of collaboration which has driven school improvement over the last decade. This policy is driven, like all our education policy, by our guiding moral purpose – the need to raise attainment for all children and close the gap between the richest and poorest. I believe this policy will only work if it strengthens the bonds between schools and leads to a step-change in system-led leadership. That is why I will expect of every school that acquires academy freedoms that it partners at least one other school to help drive improvement across the board. While Gove had previously recognised the importance of such collaborative work, he had not been quite so explicit in his expectations before. His challenge now is to develop an effective but flexible mechanism that enables such system leadership to flourish. I have written here before about the role that High Performing Specialist Schools - many of those targeted for the first wave of new academies - play alongside the NLE programme. But with flexibility to choose an appropriate system leadership role, there should also be some real incentive. One potential mechanism is the academy funding agreement: a straightforward link between a proportion of the additional funding that comes from no longer being attached to a local authority - or a tougher redesignation process for specialist schools - and embracing such a leadership role would help cement Gove's ambition. It would also provide the reassurance that many who support an extension of academies - but worry about the potential loss of the programme's social mission without such levers - have been seeking. As a child growing up in Dublin, I remember the atmosphere of horror and shock that followed the killings on Bloody Sunday. A national day of mourning was declared in the Republic, the IRA led a mob that burned down the British Embassy and the limited RTE television broadcasts reverted to a schedule normally only used on Good Friday in those days. Truth be told, it was one of only a few occasions when the 'Troubles' seemed to impinge on daily life down South: the other was the Dublin bombings. To many in the Republic, the six counties, far from being the missing part of the nation, seemed a remote and even unwelcome neighbour. Yet the North provided a daily backdrop of death to the seventies as the IRA became ever more vicious in their killing, only outdone by the gory awfulness of their loyalist counterparts. And Bloody Sunday was the prelude to that brutal decade that scarred so many in the North. For those whose loved ones were killed on Bloody Sunday, the memories of that day have never gone away, even as the benefits of the Good Friday agreement are felt across Northern Ireland. Today's inquiry should finally give them the answers that they deserve, and which they were so cruelly denied in the Widgery whitewash. It is pretty damning stuff that fully vindicates the testimony of many eyewitnesses, including former Bishop Edward Daly. But it would be wholly wrong to conclude that there should then be prosecutions of the soldiers involved: in a Northern Ireland where once-brutal terrorists - including one said to have carried a machine-gun on Bloody Sunday - are respectable assembly members, and even ministers, there is nothing to be gained from trying to prosecute those soldiers who killed innocent people in Derry on that fateful day any more than there is merit in reprosecuting the many other horrors perpetrated in the bloody years that followed. David Cameron was absolutely right to deliver the apology he did in the Commons, as was Sir Mike Jackson - and it is unfortunate that this inquiry has taken so long to reach its conclusions - but Sinn Fein members who have been among the greatest beneficiaries of the post-peace amnesty should be the first to argue that having finally achieved the truth, it is in nobody's interests not to move on. To see Noah Baumbach's thoughtful and incisive Greenberg: the story of faded rock singer turned carpenter, Roger Greenberg, who is recuperating in his brother's house after a spell in a mental hospital following a nervous breakdown, where he starts an awkward affair with the family's young personal assistant, Florence (played with brilliance by Greta Gerwig). Ben Stiller plays Greenberg with huge understanding, giving his combination of grouchy complaints, terrible personal behaviour and self-obsession such depth that one actually cares about an otherwise horrible person. Gone is the goofiness of Meet the Fockers: who knew that behind the goofball comedy there was an actor capable of carrying a multi-layered film like this through virtually every scene? There is great support from Rhys Ifans and Jennifer Jason Leigh as a fellow band member and former lover respectively. But this is a breakout film for the two principals - Stiller from his stereotype, and Gerwig showing she is destined for greatness. This is not easy viewing - it can be ponderous and episodic - but it is nevertheless a great movie. Who really betrayed universities over funding? David Willetts, the universities minister, is too clever to believe the partisan tosh that he is mouthing about university funding today. He is right to argue the case for higher tuition fees and new approaches to higher education. But he also knows that Labour - with his support - established an independent review of university funding precisely to address the issues involved. He also knows that the solutions that he is talking about - including a greater focus on teaching quality and on FE college-based higher education were set out with admirable clarity by Lord Mandelson in his higher education strategy paper last year. If Willetts wants to look for people to blame over higher education funding, he need look no further than his own front bench before he and David Cameron performed their overdue u-turn on tuition fees. (He might have a chat with the Home Secretary, who spoke on education when Labour first introduced fees). And while he's at it, the universities minister might care to educate his coalition colleagues - including his Secretary of State - who cynically misled university students about the potential for scrapping fees. Such a strategy would be far more credible than attacking Labour ministers who took brave decisions in the face of such political cowardice. After all, he may need Labour support when the time comes to implement his tough decisions. The giant rainbow logo overshadowing Ed Balls’s Department for Children, Schools and Families came down as soon as the coalition deal was done. The DCSF was renamed the Department for Education, and Michael Gove took responsibility for the schools policy he had developed in opposition. Gove was joined at Sanctuary Buildings by Nick Gibb, a traditionalist schools minister, and Tim Loughton as the junior children’s minister, both ­members of his shadow team. The Liberal Democrats have Sarah Teather as minister of state for children, in pole position to put their ‘pupil premium’ policy – extra payments to schools for disadvantaged children – into practice. Jonathan Hill, Gibb’s deputy, is a new peer who ran Conservative prime minister John ­Major’s ­political office in the early 1990s. Gove quickly identified £670m of spending cuts and launched two Bills in the Queen’s Speech. The first tweaks ­Labour’s academies legislation to allow outstanding primary and secondary schools to join a streamlined programme. It also enables funding for parents and teachers to establish ‘free schools’ with charitable foundations. 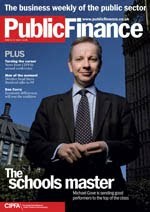 Gove has said he is not ­ideologically opposed to profit-making organisations running schools, but he remains pragmatically committed to a not-for-profit programme. A summer white paper will herald the second Bill in the autumn. It will introduce the pupil premium, allow head teachers to detain pupils more easily, refocus Ofsted inspections and remove non-academic subjects from the national curriculum. The Bill will also scrap the Qualifications & Curriculum Development Agency, responsible for curriculum development, and the General Teaching Council for England, which has regulated teachers since 2001. Its residual responsibilities will be transferred to the ­Department for Education or other agencies. Interest in free schools is growing rapidly, according to the New Schools Network, a charity run by ex-Gove adviser Rachel Wolf, to put parents’ and other groups in touch with academy providers such as Ark and the Harris Trust. The network has had 550 expressions of interest from parents, teachers and charities in establishing new free schools. Fifteen parent-led schools could open next year, using buildings that are closing in local authority reorganisations, with new teacher-led schools from 2012. ‘Just over half those we are working with are groups of teachers who want to set up schools in deprived areas,’ Wolf says. Some of the keenest parents face local school closures. In April, David Cameron and Gove backed a campaign at Birkenshaw Middle school in Kirklees in West Yorkshire. Local parents wanted to convert a closing 380-pupil school for 8 to 12 year-olds into a 900-pupil secondary school from 2013, at a cost of £15m. Balls rejected the proposal, accepting advice that it would damage the financial ­viability of other local schools. Kirklees council is reluctant to hand over the school site, preferring to focus on a new academy three miles away for its residents – Birkenshaw attracts many Leeds and Bradford pupils. But the parents say this would force pupils to travel further and leave too few school places locally. Campaigner Lesley Surman, who has sons aged 8, 10 and 11, says: ‘We tried to work with the council, but they were ­totally opposed to what we were doing. The government promises capital funding for the new schools. In opposition, the Conservatives said they would use 15% of Labour’s £55bn Building Schools for the Future renewal ­programme to fund free schools. The Institute for Fiscal Studies points out that Labour had already planned to cut capital spending on schools from £6.5bn in 2009/10 to £5.8bn in 2010/11, and probably further thereafter. They say there is not enough money to go around. Yet, more than 1,000 school rebuilds are already being planned and many councils fear their projects will be lost. MPs of all parties have been seeking reassurances about their local school renewal plans. Academy numbers could increase ­rapidly from this autumn, when schools rated ‘outstanding’ by Ofsted will be able to become academies without consulting their local authority. Gove told the Commons on June 2 that 626 outstanding schools had expressed interest in becoming academies, including 299 secondary schools, 273 primaries and 52 special schools. Outstanding schools will also be exempted from five-yearly inspections ­unless their results slip or parents complain. Other schools could apply to become academies later this year, although only those with strong development plans will get early approval. Gove revealed that he plans to recreate a post established by former Labour prime minister Tony Blair – and scrapped by Balls – to broker new academies and free schools. ‘We are looking at reviving the role of the schools commissioner so that we can ensure continuing growth in the takeover and transfer of failing schools,’ he says. Academies will now include primary and special schools. A quick conversion might appeal particularly to the 1,257 existing foundation schools. Many of these are former grant-maintained schools, which already employ their staff, own their buildings and have admissions flexibility (within a code barring new selection). As academies, they could set their own pay rates and deviate from the national curriculum. They would be run by trusts and funded by Whitehall, with extra cash for services otherwise provided by the local authority. This extra funding can be worth 7%–10% of a school’s budget – £300,000–£600,000 for a secondary school each year. This is an enticing sum when money is tight, if the schools can provide the services more cheaply. But the Tory-led Local Government Association fears a two-tier education system. LGA chair Baroness Margaret Eaton, a Bradford Conservative councillor, says: ‘A share of education money is currently invested in providing services for pupils with special educational needs, and those who are excluded from mainstream education.’ The sums involved amount to around £2bn a year across England, according to the DfE. But Conservative councillor Chris Watt, Bath & North East Somerset Cabinet member for children’s services, told the Bath Chronicle: ‘What would be frustrating is if the unintended consequence of the legislation is that we end up stuck with a provision that is not what local parents want.’ And Liberal Democrat Bath MP Don Foster has asked ministers to develop a ‘local needs test’ when ­academies are established. But council planning worries are not the only concern. The government has said that it wants the new academies to be engines of social mobility. Most of the 203 existing ones were established to combat disadvantage and low achievement in inner-city areas (a few are former independent schools or city technology colleges). A further 100 such academies are due this year. When Balls gave academy status to outstanding maintained schools, it was as part of trusts working with poorer performing schools, as in Wakefield and Essex. Given that the new academies’ often socially selective admissions policies are unlikely to change, they will need to work with other schools if they are to do more to improve social mobility. But while a focus on converting failing schools linked with sponsors will remain, the new outstanding academies will not be required to have sponsors or to work with weaker schools. This could simply recreate grant-maintained schools without the hassle of parental ballots, a switch of emphasis criticised by teachers’ leaders. ‘Without the help of top schools, ­under-performing schools will be cut off and tied to a local authority with less funding,’ fears Mary Bousted, general secretary of the Association of Teachers and Lecturers. However, Gove defends his approach, insisting that the new academies will work with weaker schools. ‘If we absolutely insisted on a do or die regime, some schools might have shied away from becoming academies,’ he says. ‘I felt that generosity not conscription would work best, although we will have a strong expectation that the new academies will use their skills to the benefit of others.’ Academy funding agreements might require it. But the premium was originally to have been funded from reduced bureaucracy in his department and scrapping child trust funds. Since both pots have already been raided to pay down the deficit, and the coalition agreement says the premium will be funded from outside the schools budget, there will be big cuts elsewhere. Education ministers initially want a premium on top of existing funding in all schools before moving to a national funding formula. However, the Treasury might try to keep costs down by removing funding for other school-based initiatives or moving more quickly to a national formula. Children’s and youth services programmes and education maintenance allowances, which pay poorer children £30 a week for staying in education after 16, face an uncertain future within the education budget. Meanwhile, a national funding formula could also result in a bigger premium in the shires and suburbs rather than in the inner-city schools that gained most from Labour spending. Yet ministers remain convinced that their changes will not only liberate schools but improve parental choice, raise standards and increase social mobility. Indeed, Gove expects that most schools will become academies and that they will ‘want to use those powers to increase standards for all children and close the gap between the richest and the poorest’. He will be judged not just on the extent to which his approach improves choice for the middle classes, but on how much it improves social mobility. I have not been especially critical of the initial cuts announced by Michael Gove in his departmental budget. At a time of financial retrenchment - whatever the arguments about the timing of the £6 billion cuts - every department will have to find its savings. The quangos that he has earmarked for abolition - the QCDA, Becta and the GTC - have never really lived up to their potential, although the Secretary of State may underestimate the costs of delivering some of their services through other means. I have also been no fan of the academic diploma, and can see the merit in using underallocated funds in the education budget to reach the £670m target. However, there is one cut in the list that he published earlier this week that is a false economy: the cut in the High Performing Specialist Schools programme. Amounting to a mere £7 million in savings, the cut sends a negative signal to heads and governors that there is no reward for improving standards and no additional support available for important system leadership roles such as becoming a teacher training school or extending subject work in languages or science. Indeed, so closely aligned is the work of the HPSS programme to many core objectives of the coalition programme, from good schools helping weaker ones to school-based teacher training and strengthening academic subjects that one would have thought this a programme to be built upon not undermined. Indeed, if Gove is serious about wanting his new outstanding academies to work with weaker schools, a combination of the incentives in the HPSS programme and the National Leaders of Education is precisely what he needs. With limited resources, the Government needs programmes that deliver genuine value. Come the Spending Review, Gove should think again. The coalition has made improving social mobility one of its central planks. The new Education Secretary, Michael Gove, has declared he wants to close the gap in results between the richest and poorest. Paying schools more for each disadvantaged pupil on their rolls is their big idea to achieve it. We must probably await the autumn spending review to see how the premium is to be funded. Ministers will need to rebuff Treasury efforts to get them to raid pots like the Standards Fund to pay for it. Schools already facing tight budgets will not see the premium as significant extra resources if it simply replaces existing money, even if it is on top of their general budget. The coalition plans to move to a national funding formula. As it does so, because Labour increased school budgets fastest in poorer areas over the last 13 years, the biggest long-term beneficiaries of the premium are likely to be schools in Tory and Lib Dem constituencies in the shires, places where schools with small numbers of pupils on free school meals receive no extra funding for those pupils. Yet money is not in itself a panacea. During Labour's term, while some indicators of social mobility improved, according to research by the Institute for Social and Economic Research at the University of Essex, there is still a fourfold achievement gap between children of graduates and non-graduates. Labour's big improvements occurred specifically through programmes with tough targets, like inner city academies replacing failing schools, or the London Challenge initiative where the best heads helped weaker ones. They did not occur uniformly, or simply because they spent more money on schools in disadvantaged communities. If the coalition is serious about narrowing the gap, it has to do more than put its money where its mouth is. Schools must say how they'll use the extra cash to narrow the gap. In this era of greater freedom, nobody would suggest that ministers should specify how this must be done (and there is no evidence that cutting average class sizes, as Nick Clegg has suggested, would make much difference). Schools should decide how to spend the premium, but they should publish their proposals in their development plan, which should be published online. They should also be held accountable. The Government should publish information about variations between pupils of different backgrounds within schools in the annual league tables, and ensure they are considered by Ofsted. They should make clear to schools that don't reduce these variations over time that they'll lose the premium. Unless there is a consequence to failure, exhortation will not be adequate. But that's not enough. Ministers want schools to seek out pupils from poorer backgrounds and believe that the premium will be enough to persuade them to do so. If schools have been blatantly fiddling their admissions criteria, this may indeed by the case. Separate research by the University of Buckingham for the Sutton Trust has shown that the country's top 164 comprehensive schools took only 9 per cent of children from income-deprived homes, although they drew pupils from areas where about 20 per cent were income-deprived. It may be that these schools are getting around the tough admissions code and the schools adjudicators. More likely they're using proximity and sibling rules to decide who gets in. Poorer families are losing out. In most cases, if schools are applying admissions criteria based on how near pupils live to the school or the numbers of brothers and sisters there, they have little scope for manoeuvre. Unless these schools allocate a significant proportion of their places through a lottery open to all – with practical advice to poorer parents on how to apply – or through fair banding across all abilities, the pupil premium will do little to enable poorer children to attend the best schools. And at a time of increasing austerity in the public services, even the Liberal Democrat Chief Secretary, Danny Alexander, might himself start to question whether it is really delivering value for money. We have a shared ambition to clean up Westminster and a determination to oversee a radical redistribution of power away from Westminster and Whitehall to councils, communities and homes across the nation. So, just how radical will this redistribution be? First, Michael Gove has published legislation which effectively transfers all planning decisions on schools to his department. Then, Eric Pickles stops councils from deciding for themselves (and facing the electoral consequences) how to improve recycling quotas. And the coalition is barely a month old. So today I want to look at what decentralisation should really be about. What it can achieve. And how we can make it more than a rhetorical fad. I am drawn to the philosophy of decentralisation and local empowerment for many reasons. There’s the basic principle of subsidiarity – the liberal belief that decisions just ought to be taken as close to the people they affect as possible. Another Lib Dem triumph in coalition then. I have now reached the dubious record of having posted 1,000 times in the just under three years that I have been writing this blog. This is post no 1001, since you ask. Since then, the convenience of Twitter has allowed me to transmit micro-reviews that I might once have written in extended form on this site. I have also been pleased to blog on other sites like Public Finance and Progress, often sharing material with readers of this site. While my readership is not in the Iain Dale league, I am pleased to receive around 2,500 visits and 1,500 unique visitors - many of them regulars - each month, adding up to over 12,000 visitors each year. 2. The real question for Gove is where will the axe fall? BAFTA may have got it right with best actress for Julie Walters as Mo and recognition for Mad Men and The Thick of It. 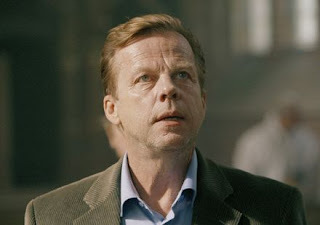 But what could have possessed them to award Kenneth Branagh Best Actor for his simpering, unreal portrayal of Kurt Wallender? (There are many other series in which Branagh has been superb, just not this one). Don't the Academy know that there is only one actor who captures Mankel's brilliant Swedish detective perfectly - and that is Krister Henriksson (left), who has played the part in the Swedish series that is infinitely better than the BBC version. Thanks to BBC 4, we know this. Why doesn't BAFTA? Even if Gordon had been the best communicator and the greatest debater in 2010, Labour would still have lost. We didn’t lose in the four weeks of the campaign but in the three years where we abandoned the middle ground, all but repudiated our record and resorted to a self-defeating ‘core vote strategy’..... Labour can only win by becoming a national party again, regaining support in the Midlands and the South of England, challenging ourselves to address and adopt difficult but necessary policy positions outside our comfort zone, with appeal beyond our core vote. We can not win if we simply become a party that complains about cuts or campaigns on single issues. We can not win if we just keep telling ourselves that we are morally right and the public got it wrong. We have to shake ourselves out of the mistaken belief that this coalition will simply collapse and the public will then return to us because we are the ‘progressives’. We can not win if we continue to appear to be enthusiastic for equality but antagonistic to aspiration; angry about unemployment but unenthusiastic about enterprise; if we act like cheerleaders for public spending but remain silent on value for public money; or if we appear to understand everything about the need for constitutional change but have no idea why anyone would want a conservatory. Equality and aspiration; social justice and entrepreneurialism; the public service ethos and public service reform; a living wage and middle income Britain. We do not have to choose between any of these. In fact, we have to choose to embrace all of them and more. We have to be led with a radical edge and led to the middle ground. ..... To win we need a leader who really does challenge the party to change. Not in a series of deliberate confrontations for their own sake but with a determination to make the changes we need to keep in touch with and lead public opinion. We need someone with the leadership skills and popular appeal capable of reassembling the winning coalition which delivered victories in 1997, 2001 and 2005. To see a terrific concert by the Northumberland sisters The Unthanks and their great band at the Komedia in Bath last night, part of the Bath International Festival of Music. Rachel and Becky's vocals providing a memerisingly complementary harmony, best heard on some of the songs from their most recent CD, particularly the haunting title track Here's the Tender Coming and the achingly evocative story of a 19th century child miner put to song originally by Frank Higgins, The Testimony of Patience Kershaw (on the YouTube link above). But their music mixes the tragic with plain good fun, including clog dancing and rousing choruses. To see them in concert with an eight-strong support band of piano, violins, trumpets, bass and ukelele is pure joy, as the capacity crowd in Bath enthusiastically agreed last night. I was not alone in being less impressed by their support act, John Smith. The Unthanks are better flying solo. Earlier this year, First Great Western, operator of overcrowded trains to the West, found a great way to fleece its long-suffering passengers. Having made great play of simplifying the fare system with a peak and off-peak fare, it decided to divide the off-peak and charge an extra tenner - a 20pc increase - to travel at many off-peak times from Bath to London. To leaven the blow they allowed an extra half hour at both ends of the day, which meant one could go to or leave the capital a little more conveniently. Having got away with that increase, I discovered today that they have removed the concession and reverted to the old hours, price increase firmly intact. A full price standard return costs about £160 - a hundred pounds more than the dearer off-peak. Of course the change also nullifies convenient connections too. And they do so without fanfare. FGW should offer masterclasses in ways to fleece customers.